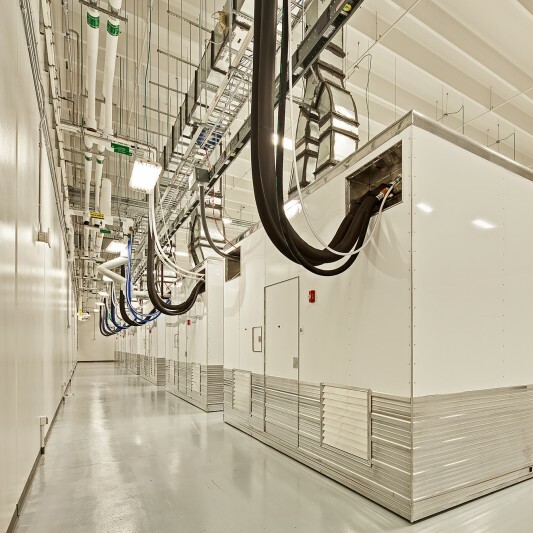 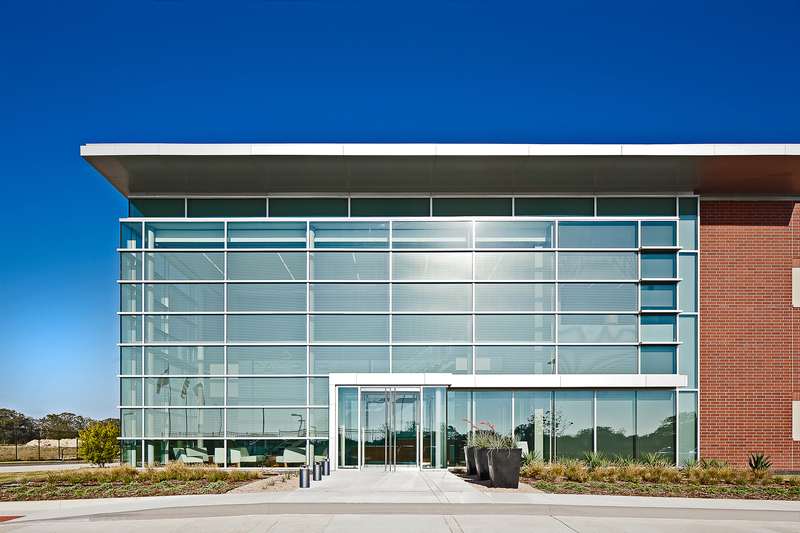 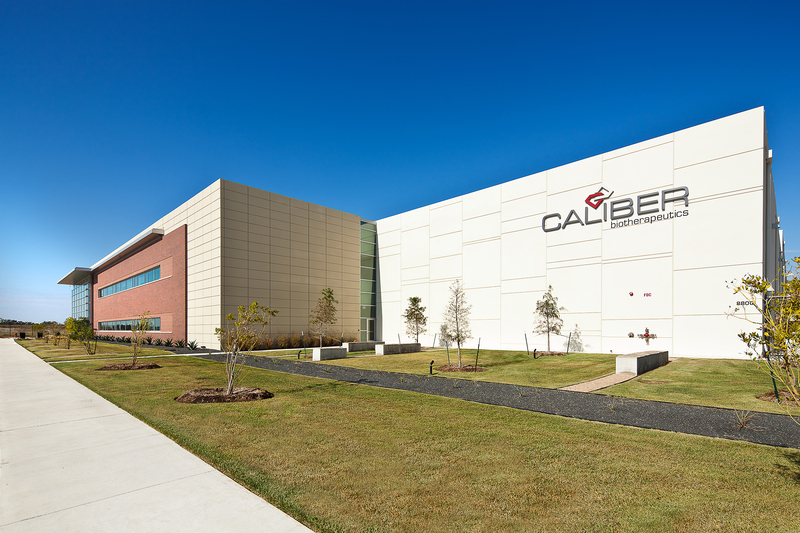 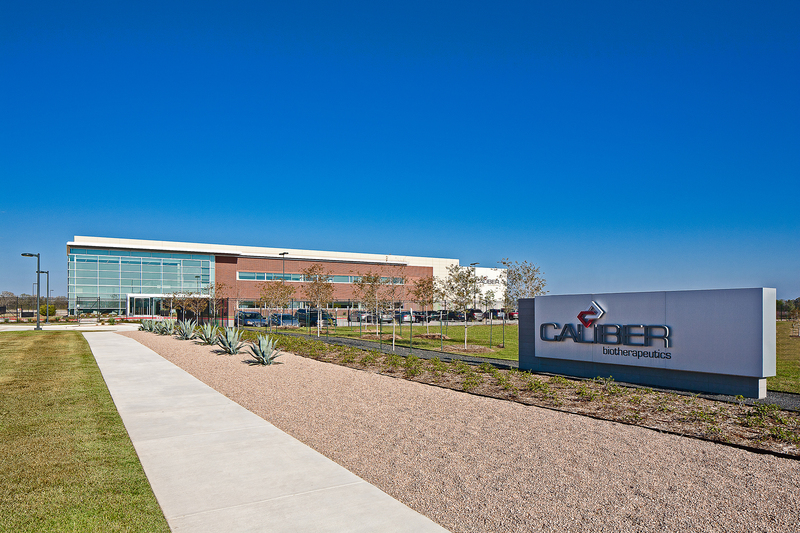 iBio Biotherapeutics (Formerly Caliber Biotherapeutics) is a vaccine production facility located within Texas A&M University’s Research Valley Park and adjacent to the Texas A&M Health Science Center Campus. 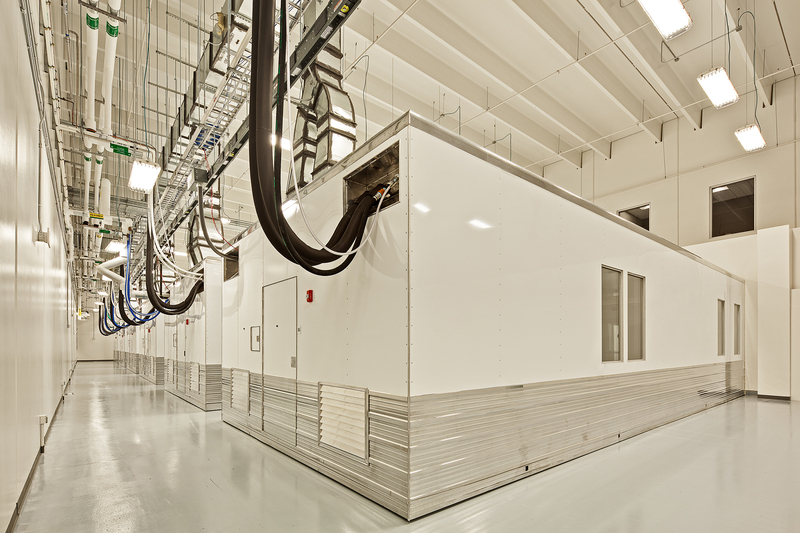 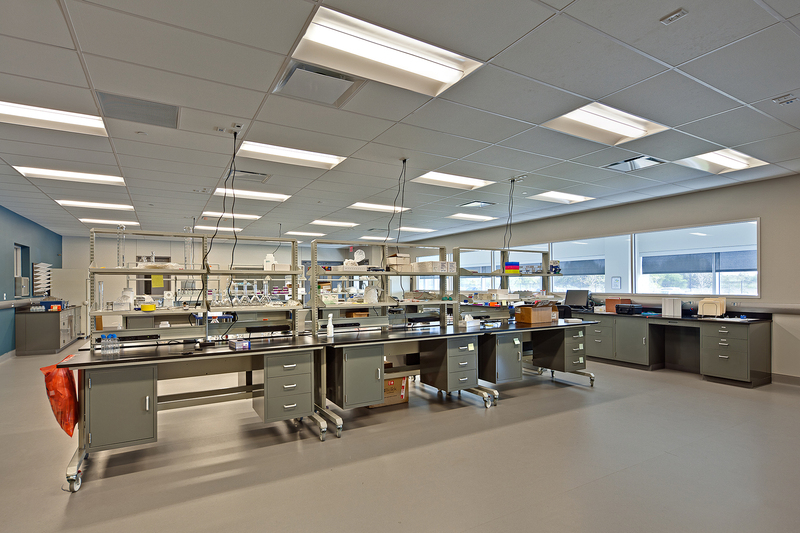 This new building provides facilities for the growth and processing of plant based vaccines as well as the associated labs and administration space. 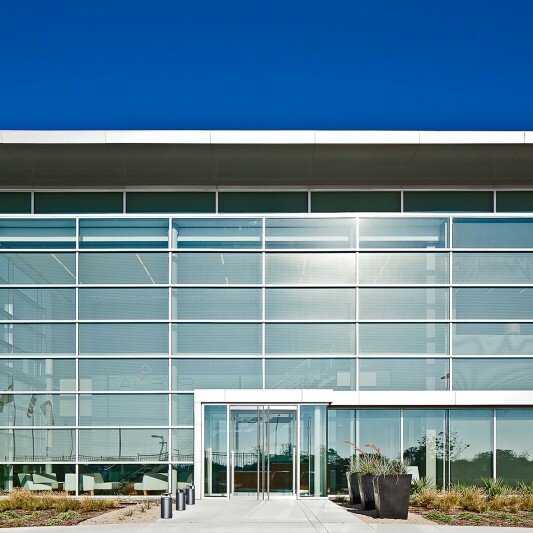 Extensive use of precast concrete for the exterior enclosure and internal structure, allows the facility to provide optimal planning flexibility for process areas and equipment as well as superior maintenance characteristics capable of meeting the rigorous cleaning protocols planned for the facility. 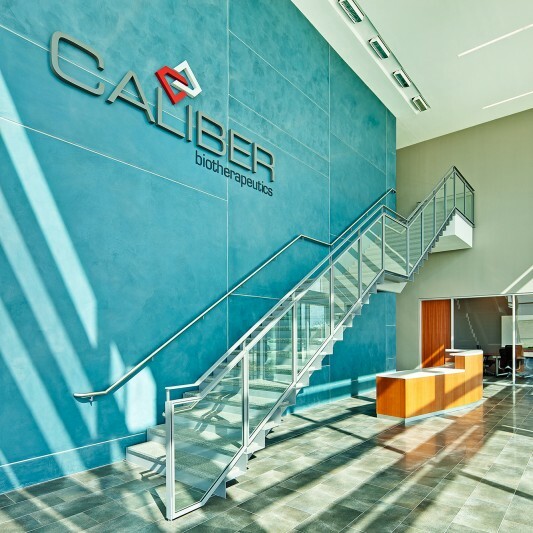 Additionally, extensive provisions were made within the design of the first phase building and site to accommodate a 40,000 SF expansion of the building with little to no disruption to operations.